Minister for Education Mahendra Reddy says we are building a healthy, vibrant community of learners who are prepared for future national and global demands. “Their health is a core component of this and that is where we are investing. 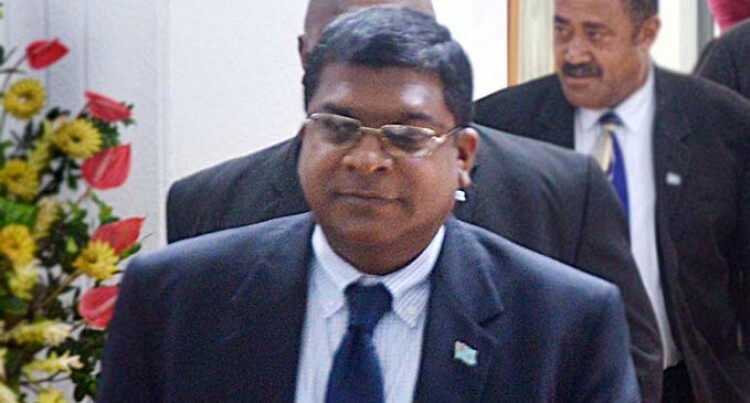 We look forward to the support from all stakeholders in this journey of securing and educating our children for future Fiji,” Mr Reddy said. He made these remarks in his ministerial statement in Parliament yesterday. “We need to mobilise all the stakeholders to support our children. Ministry is just one stakeholder. I wish to assure all parents that our Ministry is doing all it can to deal with contemporary challenges faced by children and at the same time urge you to partner with us in this quest. “The school environment plays an important role in reducing health hazards through practising right norms and educating on the basics of what is right and wrong. This in effect develops a ‘culture of prevention and preparedness’ which is later filtered down to the family and community at large. What the child learns and practises in the school is instilled permanently in the child as good habits and traits. “When we ventured into improving the Education Sector in Fiji, we took a holistic overview of the system and ensured that while we break through stagnant processes, biased practices and long overdue goals, we also guarantee that our children are confirmed the highest levels of safety and well-being. “We have injected greater emphasis on good health and physical wellbeing of the child. We are looking at each and every policy with in-depth evaluation and ensuring that once implemented, they target long term positive inputs. “Securing the health and well-being of our children, the grave concern triggering from bad food and lifestyle choices has been literally affecting every aspect of our society. The instance of non-communicable diseases has never been higher. “In our schools we have found out that many of our children are addicted to junk food.